Smart Thoughts For Smart Students. Body: There is a $1,000 scholarship available for a worthy engineering student at Manhattan College. Sponsored by your District as a member of the Nassau Suffolk Water Commissioners’ Association (NSWCA), the scholarship honors the late Nicholas J. Bartilucci. 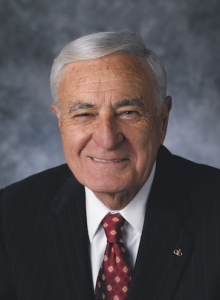 Mr. Bartilucci was not only a founding member and past President of the NSWCA, but a thought leader whose insights, experience and technical engineering expertise were highly valued throughout the industry. The annual scholarship is open to entering freshmen enrolled full-time in any engineering degree program at Manhattan College. Emphasis is placed on academic credentials and extra curricular activities. Potential applicants must reside in one of the 21 NSWCA memberwater districts (see http://www.nswcawater.com). The student awardee will be selected by the college upon verification of residency by the NSWCA. To apply, please contact Mary Ellen Malone, Director of Planned Giving, at Manhattan College: 718-862-7976.